Home » The Three Types of Payroll Fraud: Are Your Employees Stealing From You? Most of the time, when people thinking about employees stealing from their jobs, they think of people raiding the supply closet and bringing home boxes of pens and piles of legal pads. However, there’s an even more costly form of fraud happening at businesses of all sizes across the country: payroll fraud. Payroll fraud is surprisingly common, affecting about 30 percent of businesses annually. 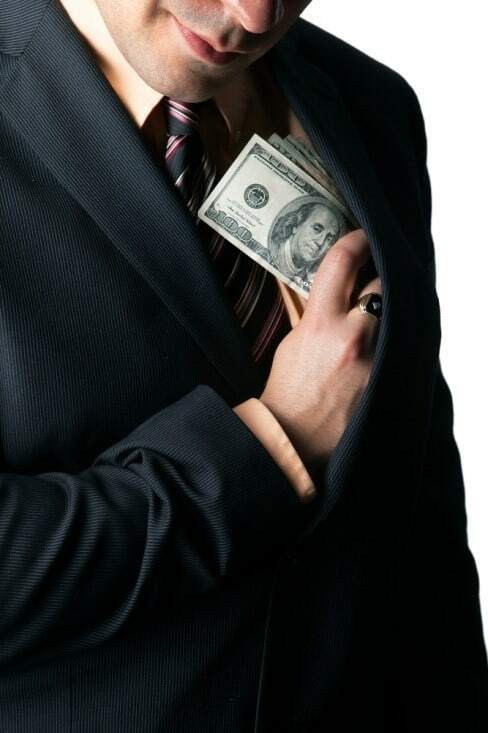 Businesses lose millions of dollars thanks to unscrupulous employees who take more money than they have earned. This isn’t even accounting for the costs associated with investigating potential fraud and taking action against the perpetrators. In some cases, employees are ordered to pay restitution, but often, employee fraud results in losses for the company. However, not all payroll fraud is created equal. In general, there are three types of payroll fraud: timesheet fraud, ghost employees, and employee misclassification. Understanding the nuances between each type helps college-trained investigators pinpoint and stop the crimes before they cost your company money. 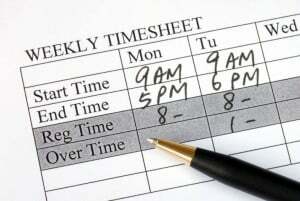 Timesheet fraud involves paying employees incorrectly for the hours they work. In some cases, companies overpay employees based on falsified timesheet submissions; employees might even have a co-worker clock in and out for them when they aren’t even scheduled to work. In one common timesheet scheme, an employee will “forget” to clock in or out, thus requiring a manual entry, to which they then add extra hours. In other cases, a payroll clerk may be in on the scheme, and manually overriding employee timesheets to increase the number of hours worked, or even the rate of pay. Timesheet fraud can usually be caught quickly via regular audits and review of employee schedules, and strict policies regarding timesheet submissions and changes. For example, a manager must approve any manual entries, and changes to pay rates, employee types, or a manager or human resources must document schedules in writing. Audits will reveal anomalies — such as the employee who is normally scheduled to work Monday through Friday suddenly clocking in on weekends — and stop fraud in its tracks. Are you paying employees who don’t actually work for you? You might be surprised. Ghost employees are the second most common type of fraud, and your payroll staff or manager often perpetrates it. In short, a ghost employee is either a fake employee who has never worked for your company — but who has been “created” by payroll to divert funds, or someone who once worked for the company and has since left, but was never officially terminated in the payroll system. Consider this scenario: Your payroll clerk is Mary Elizabeth Smith. Mary decided that she doesn’t earn enough, so she creates a “new” employee named Mary Beth Smith. Then, when she runs payroll, she cuts two checks, one legitimate to Mary Elizabeth, and then another to Mary Beth. In another scenario, assume that an employee recently left the company. 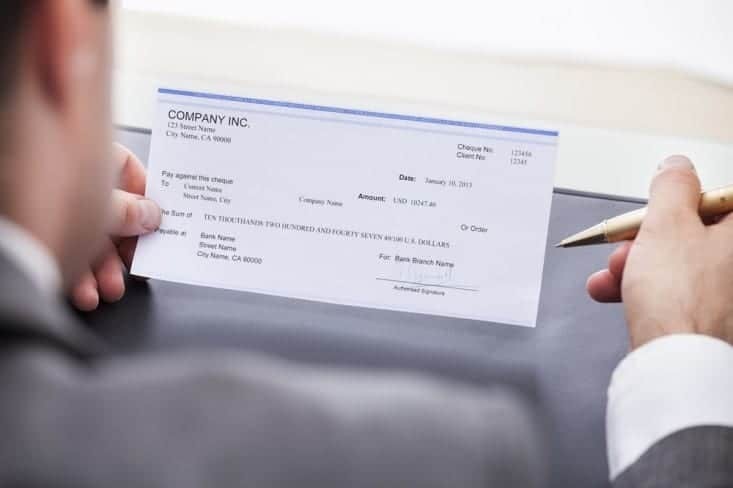 Your payroll manager Mary Elizabeth decides that she’d like to earn that person’s salary, so she doesn’t terminate his or her pay, but instead diverts that pay with a check made out to Mary Beth Smith. Much like timesheet fraud, ghost employees can usually be flushed out with regular audits, and comparing your payroll registers to the checks that have been cut or deposits made to locate anomalies like duplicate names, addresses, and Social Security numbers, and the names of employees who no longer work for the company. Separation of duties also helps prevent this type of fraud. In other words, the person who processes payroll shouldn’t be the same person who makes changes to employee records. Worker misclassification is a type of payroll fraud that’s perpetrated by the company itself, intentionally or due to a misunderstanding of the rules. The IRS requires employers to classify employees as either independent contractors (1099 employees) or W-2 employees, depending on the type of work they do, how they are paid, and the parameters of the job. Some employers deliberately classify employees as 1099 workers to avoid paying payroll taxes, health insurance premiums, and other benefits, which is a clear violation of the law and constitutes fraud. Other employees misclassify employees by accident. Either way, the fine for such fraud can be as high as $25,000 per instance — plus back payroll taxes and penalties — so it’s best to work with a qualified payroll company or experienced manager to classify employees appropriately. Payroll fraud is costly to your business. Staying on top of who is being paid how much — and ensuring that workers are being paid what they earn — is important to your bottom line. Besides, when you’re payroll is accurate, you can focus your attention on keeping those paperclips from walking out of the supply closet. My daughter has worked for a fast food company for most of 2017. She recently received her W-2 and there is nothing in the federal tax withholding box. She asked her employer, Burger King, Livingston, TN. 38570 and she was told that the person that hired her; who no longer works there probably didn’t fill out the paperwork correctly… She cannot get copies of her payroll checks because the site where she is supposed to have access to has been locked and it cannot be opened. The ex-manager put her as exempt from taxes on her W4 paperwork. She is a minor and she wasn’t old enough to work in 2015 because she was only 15 yrs old. WE NEED HELP. I’m confused – so she received a W2, but never had Federal taxes withheld? How much did she earn? She honestly might not have needed any taxes withheld. Either way, beyond sounding like a not very responsive employer, it doesn’t sound like they’ve necessarily done anything wrong. 2018 TCJA: 15 years old still qualifies as a dependent. It depends on circumstances if she has taxable wages, since this is earned income, the classification is different than for the kitty tax. Most likely is tax exempt; however, it depends on the amount earned. You will need to double check, make sure Medicaid and social security tax were paid. The amount deducible is earned wages plus $350 or/ to the max of the standard deduction of 12,000. I’ve had both HR and managers skim off my paychecks and once at 2K games the lady at HR told me the IRS was garnishing my wages. She lied of course and skimmed money off my paychecks. They use many tricks. Don’t trust anyone. Always keep track of everything, hours, know the exact cut off payroll days, etc..
What is it called when a company you work for has been taking money out of your check for insurance coverage yet has not even provided ID cards to date. Upon calling the insurance company, the Social Security number does not even exist on the insurance data base. This is a violation of ERISA and is a very big deal. You should contact an employment attorney in your state to assist you. If you’re a member of a union, partner with your union to help you. There’s a lot to this, so you may want to discuss both with your ex-employer and an attorney. In general, you cannot keep an overpayment. However, they cannot take it from you, but you must return it. If you fail to do so, they can sue you to get the money. Now, your final paycheck should have a detailed accounting of what was owed. Even if you were sick, did you have paid sick leave? Vacation used? There’s a lot to consider, but if it was truly an overpayment, then it doesn’t belong to you.